A golfer's paradise, Hilton Head Island in outh Carolina features more than thirty championship courses, while offering outdoor enthusiasts pristine beaches, maritime forests and endless recreation options. 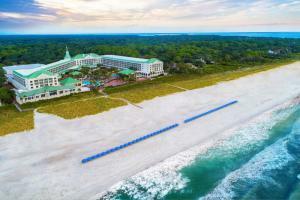 Hilton Head, South Carolina Our 4-Star classification designates those properties with well-appointed, deluxe accommodations, extensive amenities and comprehensive guest services. Expect attention to detail and a warm and hospitable staff ready to cater to your needs. These superb properties offer a truly refined getaway.